The Casting Form is the end product of the casting process. Casting involves pouring liquid metal into the Casting Form of the intended shape, and cooling and solidifying the liquid metal. In simpler terms, the Casting Form is the end product or intended shape of the casting procedure. Casting provides benefits that other manufacturing methods cannot. Some products are engineered with such complex designs or intricacies that only by forming a mold and using the casting process can those products be reliably produced. Casting has been around for thousands of years. 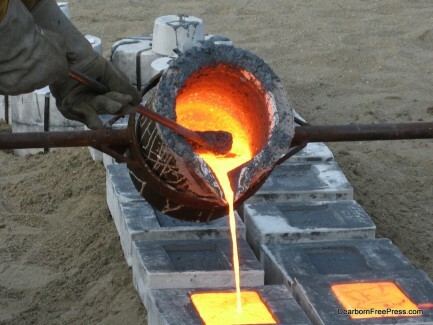 It is primarily used today for forming precious metals, tools, jewelry, and even weapons. Any complex part that is being mass produced has a good chance of originating from the casting process.